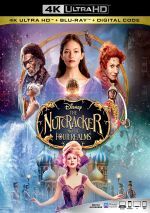 The Nutcracker and the Four Realms appears in an aspect ratio of approximately 1.85:1 on this Blu-ray Disc. Overall, the image satisfied. While the disc replicated those tones as intended, they didn’t seem like a logical fit for the story. At least the reds used for soldiers’ costumes added some pep. Though blacks could be a little crushed, they usually showed nice depth, and shadows were fine. Low-light shots also could seem slightly dense at times but they mostly displayed appropriate clarity. Despite these minor concerns, this ended up as a pleasing presentation. As for the movie’s DTS-HD MA 7.1 soundtrack, it made pretty good use of the soundscape, especially in the film’s various action/fantasy moments. Those placed material around the room in a logical manner and blended the material in a smooth way. Only a few extras show up on the disc, and we open with On Pointe. In this four-minute, 36-second piece, dancer Misty Copeland discusses her participation in the film. Choreographer Liam Scarlett, actor Mackenzie Foy and dancer Sergei Polunin also appear. 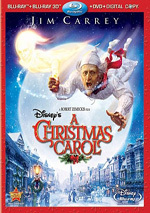 The disc opens with an ad for Dumbo (2019). No trailer for Nutcracker appears here. 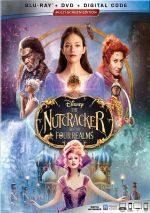 An attempt at a new holiday classic, The Nutcracker and the Four Realms falls flat. While often lovely to look at, the movie never develops engaging characters or a compelling story. The Blu-ray brings very good picture and audio along with a minor complement of supplements. Nutcracker never becomes anything interesting.